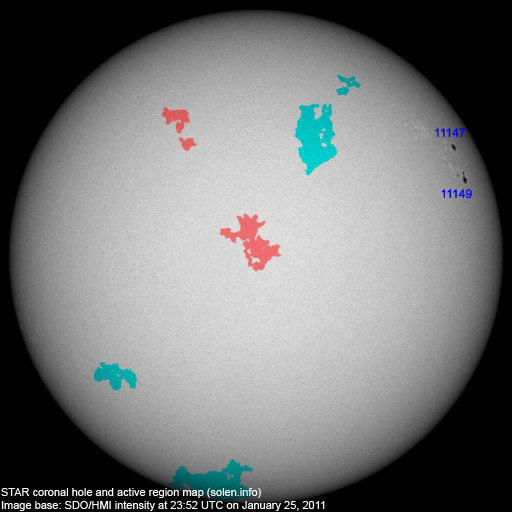 Last major update issued on January 26, 2011 at 05:35 UTC. The geomagnetic field was quiet on January 25. 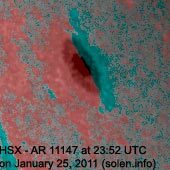 Solar wind speed ranged between 296 and 354 km/s. 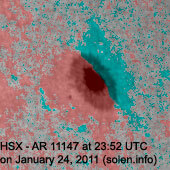 Solar flux measured at 20h UTC on 2.8 GHz was 80.5 (decreasing 2.1 over the last solar rotation). The planetary A index was 4 (STAR Ap - based on the mean of three hour interval ap indices: 4.4). Three hour interval K indices: 21101112 (planetary), 21212211 (Boulder). Region 11149 decayed in the trailing spot section. 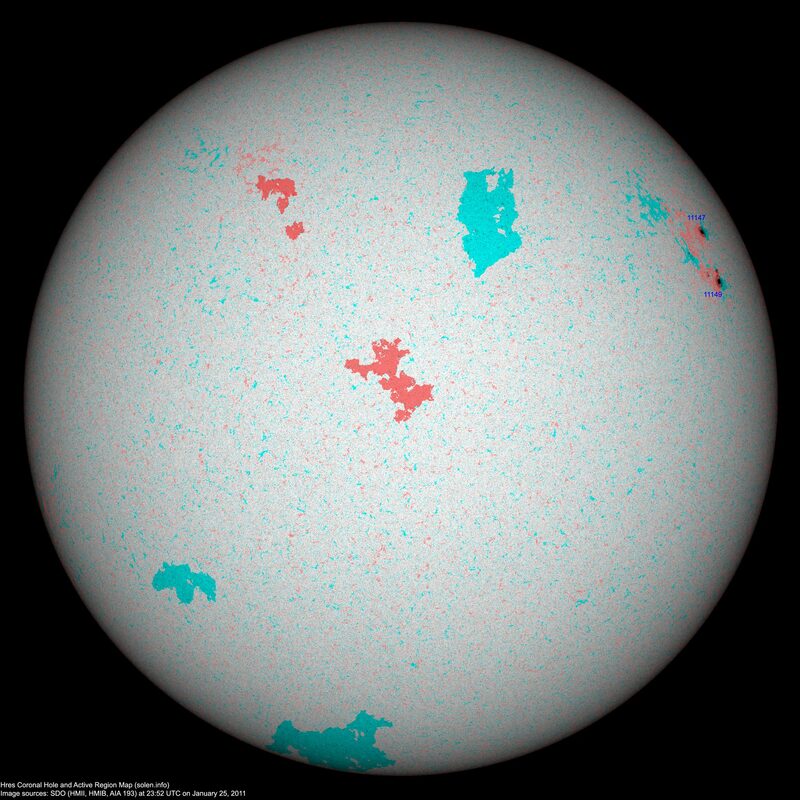 A new penumbra with several spots (both polarities) emerged just to the north of the largest spot. 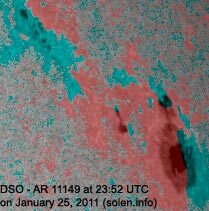 Early on January 26 the new spots appear to be merging with the main penumbra and the classification has changed to DAO. 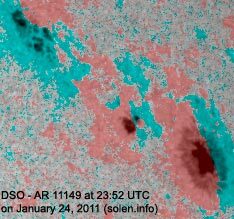 If the small magnetic delta structure remains when the spots merge into one penumbra flaring is likely to increase. January 23-25: No obviously Earth directed CMEs were observed in LASCO or STEREO images. 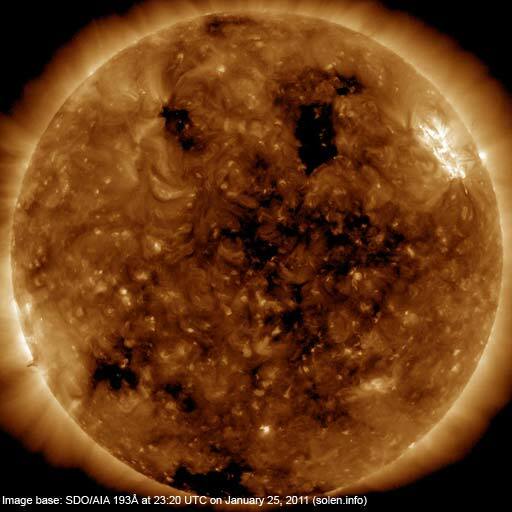 The geomagnetic field is expected to be quiet on January 26-28.